Bonfire and the Instant Products Group are no strangers, in fact Bonfire have been leading the digital strategy for two of its divisions since 2013. However, late last year we welcomed Instant Sea Containers, the third and final division of the Instant Products Group on board. With such a high demand for both residential and commercial pest control experts in Australia, Termitrust sought to partner with Bonfire to help gain an advantage within this highly competitive industry. When we first partnered with REIWA to overhaul their digital strategy, we knew it would be a challenge… But a challenge that we would relished. Who Said Old Dogs Can’t Learn New Digital Marketing Tricks? In today’s highly competitive market, the ability to operate and sustain business practices for over two decades is truly an achievement in itself. An achievement City Beach Veterinarians can proudly claim. Generating leads through a strong digital presence is one of the main aims when it comes to SEO. For Euro Technik, this was certainly the case. One of the very few specialist European vehicle service centres in Perth, Euro Technik, came to Bonfire determined to use digital marketing to help get their business off the ground. Not only did they want to penetrate their market through improved online visibility, they also wanted our team to deliver high quality leads that would generate solid business growth. 143% increase in organic visitors from July 2015. Despite strong competition within their market, our team has worked diligently and we’re extremely satisfied with the results achieved through this campaign. We look forward to seeing this success continue for Euro Technik. Concerned about their rankings in Google due to a newly built website, Auspan Group turned to Bonfire to manage their digital presence. As a market leader for steel shed design and construction in Western Australia, Auspan decided to invest in SEO and more recently, AdWords. Our goals were to grow Auspan’s Google presence whilst increasing the frequency and quality of traffic leading to the new website. After facing this challenge head on for a couple of years, we’re thrilled to see these impressive results come to fruition from targeted digital campaigns. Auspan Group’s young domain and poor rankings proved no small challenge for our SEO team. We look forward to kicking even bigger goals this year. One thing business owners and marketing managers fear the most is not being able to find their website in Google. Unfortunately, this fear was a reality for Himac. Their brand new website couldn’t be found anywhere in Google, so they asked us to help. We’re happy to report that over the past 18 months, we’ve steadily built Himac’s organic ranking in Google. Big pat on the back for our Digital Services team. These are some great results and we have one very happy client. The Loan Panel came to us with a vision: To take it’s finance services to customers across Australia. With offices opening in Melbourne, Sydney and Brisbane, The Loan Panel wanted us to expand their online presence to these cities. We began with a new website that incorporated all the office locations. Then we formulated a plan that leveraged their existing online footprint and replicated it for the new East Coast markets with a focus on local SEO strategies. We’re pleased to say that just 4 months in and the results are very impressive. We love when clients set lofty goals for their Digital Marketing campaigns. And we love it even more when our hard work exceeds these goals. i.fresh strata is one such client. 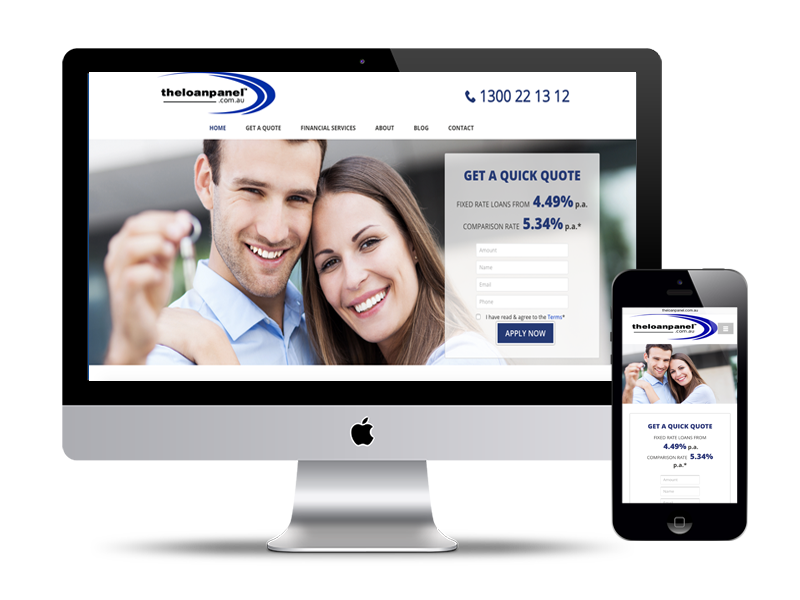 Darren and his team wanted to increase the levels and quality of their website leads by 20%. As you can see from the results below, this goal has been smashed out of the park. We look forward to sharing more great results with you soon. We’re delighted to share this fantastic feedback we received recently from Mark at EXCO WA. From the outset, Rene, Andrew and the team at Bonfire were very proactive and realistic with the results we could expect to receive. In just 5 months, they have exceeded these expectations by delivering some very impressive results. The SEO strategy is providing us with many great leads and is a major source of our business growth.